With their musical and emotional roots embedded in the far corners of Cornwall, Ennor write songs that have a palpable sense of openness and raw emotion. It’s the culmination both of their journeys across the UK and a nostalgic longing for the Cornish sea. 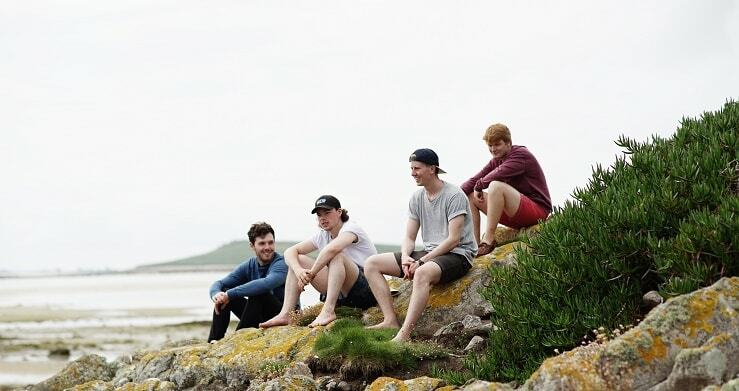 By turns folk and rock, the four-piece’s infectious sound has garnered attention from London to Penzance, as well as the acclaim of BBC Introducing. The poeticism and sincerity of frontman Tom Elliott is propped by the blistering work of the rhythm section. Adam Williams’s driving drums and the dexterous string work of guitarist Jack Rennie and bassist James Creed have earned their sound a new moniker: ‘Californwall’ – a fitting epithet to describe the perennial summer communicated in their songwriting. Drawing influence from the likes of Frank Turner, The Gaslight Anthem and The War On Drugs, ENNOR spent the summer of 2017 touring their sunshine sounds across the UK to the like of Ronnie Scotts, The Eden Project and Boardmasters, before heading into the studio to record new works ready for 2018 and the turn of the seasons. In its title alone, Ennor’s ‘West Coast’ forms a suggestive link between their roots in the south westerly tip of England and the blissed-out Californian vibes their music emits. In a sense their most traditional song yet, the track wields a melodic sensibility that is timeless to the folk traditions of the UK. Idyllic, romantic, but with a soft rock warmth and edge that would have the late Tom Petty humming along approvingly, ‘West Coast’ is a stunning injection of the rock rhythms and grandeur of Americana into folklore musical storytelling. Bathed in soothing harmonies and abounding in cinematic guitar work, it’s everything we’ve come to expect from ENNOR: compelling, boundlessly energetic and matchless songwriting.